Heart's Delight Cards: Floral Boutique Suite is Sweet! Floral Boutique Suite is Sweet! This card was a lot of fun to make, but a teeny bit tricky due to using the embossing folder on just the upper half. This is a top fold portrait orientation card, meaning the card base was cut 4-1/4" x 11" and scored/folded at 5-1/2". 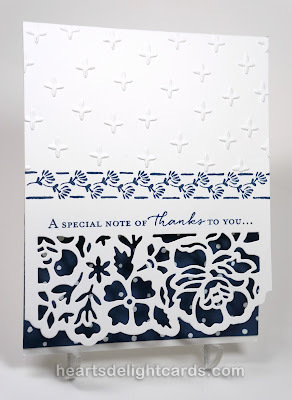 So how to emboss the top half without also embossing the back side of the card? 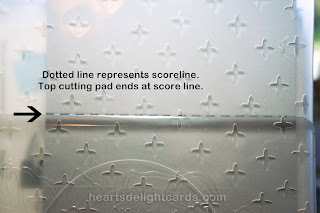 Open out the card so it lays flat, and slip it sideways into the embossing folder. 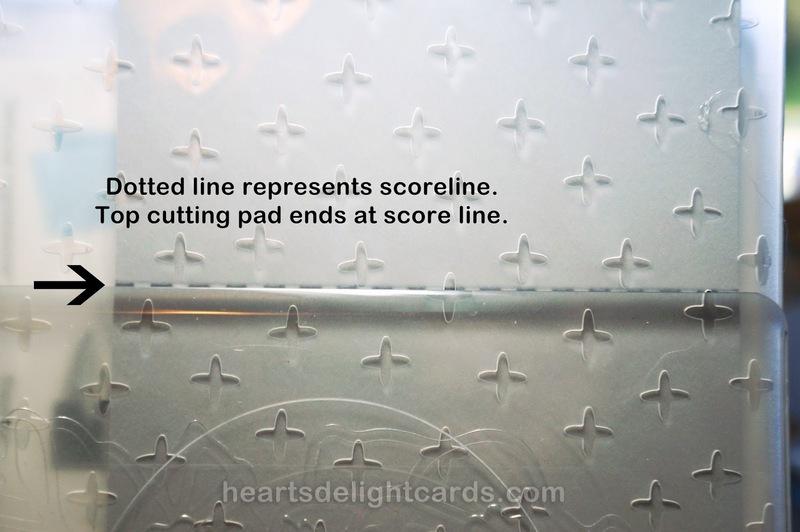 When you lay the TOP clear cutting pad on, have the edge of the pad even with the fold line, so no pressure is put on the cardstock beyond that point! 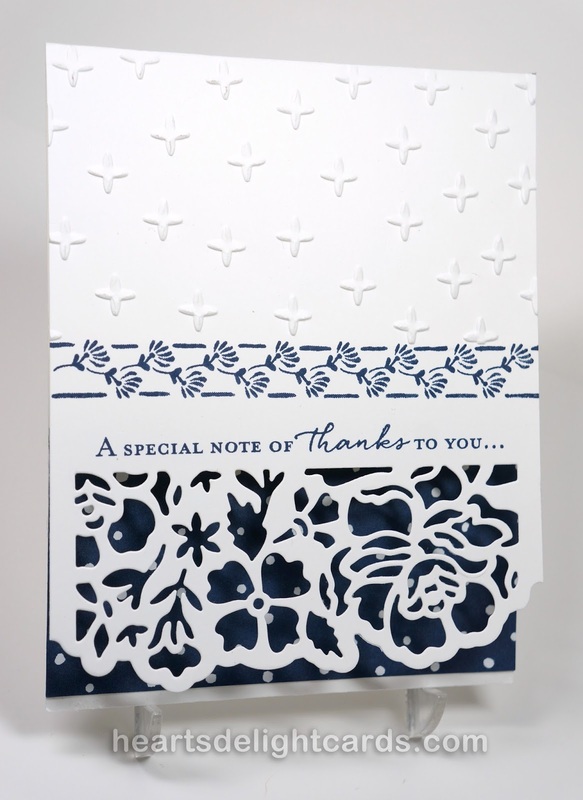 Card base: Whisper White 4-1/4" x 11", scored/folded at 5-1/2"
Use smaller Detailed Floral Thinlits Die and matching edge die on card front, near bottom. Note: these can be used together in one pass through the Big Shot. I do highly recommend the Precision Base Plate and the Die Brush. The plate makes cutting detailed dies easy and the brush deals with the little fussy bits of "confetti" left over. 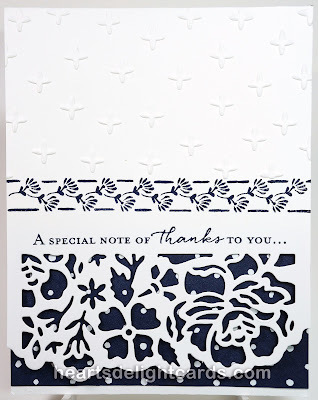 Stamp greeting just above openings of die cut. Stamp border image just above greeting. Emboss top half of card front above border as instructed above. That's it! 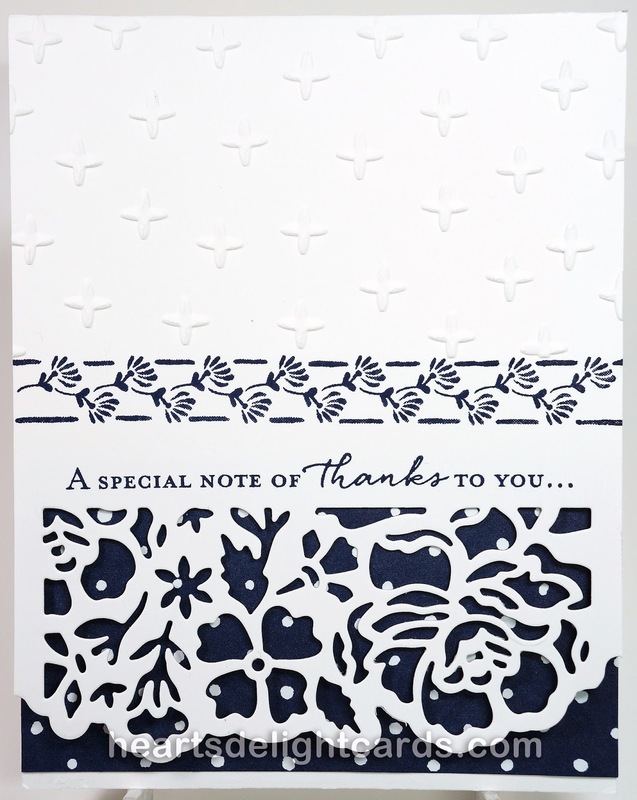 A quick, relatively easy, and elegant card ready to send to someone special.